Find out first-hand for yourself by sampling and learning about why and how the chemistry and gastronomy of this combination work up some incendiary aromas. Expand your mind and your senses, while growing the chocolate spirit in this fun flavorsome kick-off to Saturday night. The Law Offices of Bonnie Spiro Schinagle of Garden City and Manhattan recently opened their doors. 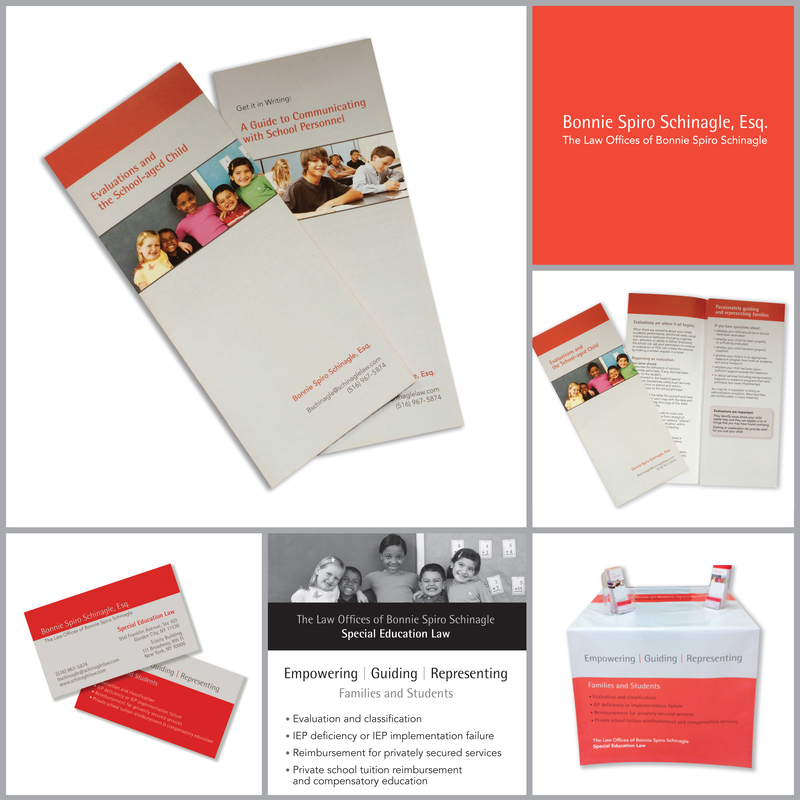 With a very short timetable to create a new logo, two brochures, a banner, business cards an ad and website graphics for an event they were attending, Sharon Klein Graphic Design was engaged to design and project manage all of the collateral. My client retained a new client within the first 24 hours of the site launch and people have responded viscerally to the newly branded printed products. Does your business need a new visual identity or a rebrand? Give us a call 212-645-8163.